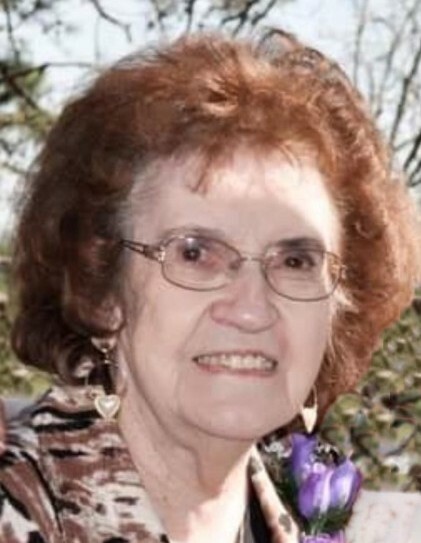 Regenia L. Brown Willard, 87, of Conway, went to be with her Lord and Savior on Friday, February 8, 2019. She was born on November 24th, 1931 in Mountain Home, Arkansas to Linton Brown and Gladys Lovelady Brown. She married the love of her life, Bobby Willard, on August 25th, 1956 and they spent 46 amazing years together before his passing in 2003. Left to cherish her memory is her two daughters, Debora (Terry) Tew and Toni (Danny) Compton; three grandchildren, Chris Osburn, Heather (Kevin) Key, and Brittany Lunsford, and five great-grandchildren, Alicia, Xavier, Braiden, Jaren and Kadin. She is preceded in death by her parents, her husband, one granddaughter, and many family members. The family wants to extend a special thank-you to Heritage Living Center staff and nurses for the care they provided for her over the last four years. Visitation will be held from 6:00-8:00 p.m., Monday, February 11, 2019 at Smith-Sherwood Funeral Home, 7700 Hwy 107, Sherwood, Arkansas with her Celebration of Life starting at 10:00 a.m. on Tuesday at the funeral home. Interment will follow in Edgewood Cemetery.